NASA has just started work on the first space-bound Orion capsule. Here you can see a robotic arm welding the new spaceship. It will be NASA's first manned ship in space after Atlantis returned on July 21, 2011. 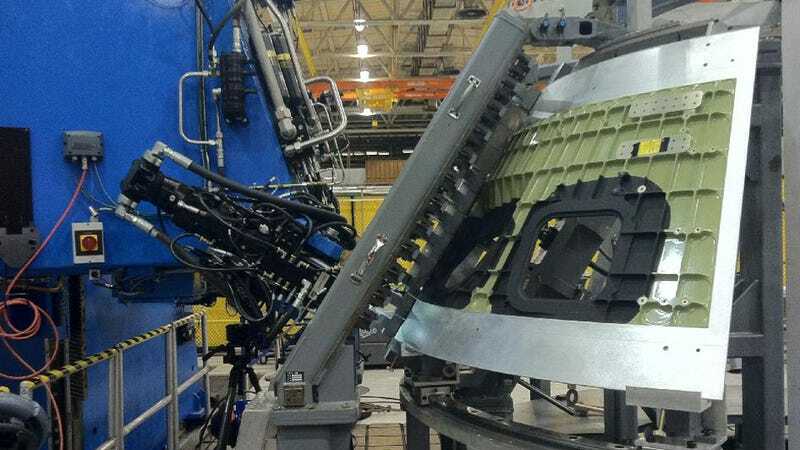 After welding is completed at Michoud, the Orion spacecraft orbital test article will be shipped to NASA's Kennedy Space Center, where the heat shield will be installed. At Kennedy, it will undergo final assembly and checkout operations for eventual flight.